Without a doubt, 2016 has been the best year for Teacher Types! 111 blog posts, (30 of which were product reviews), together with many opportunities that have come my way (incuding becoming a TRIBE influencer). I'm truly grateful and have loved all of it. I didn't just write here though - I've been popping up all over the place! 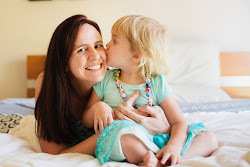 You may have seen me over at Adelady, Kids in Adelaide, Alphabet Street, Childhood 101, Kid Magazine, Finlee and Me, Baby Hints & Tips, and the Parent Talk Australia Instagram account. 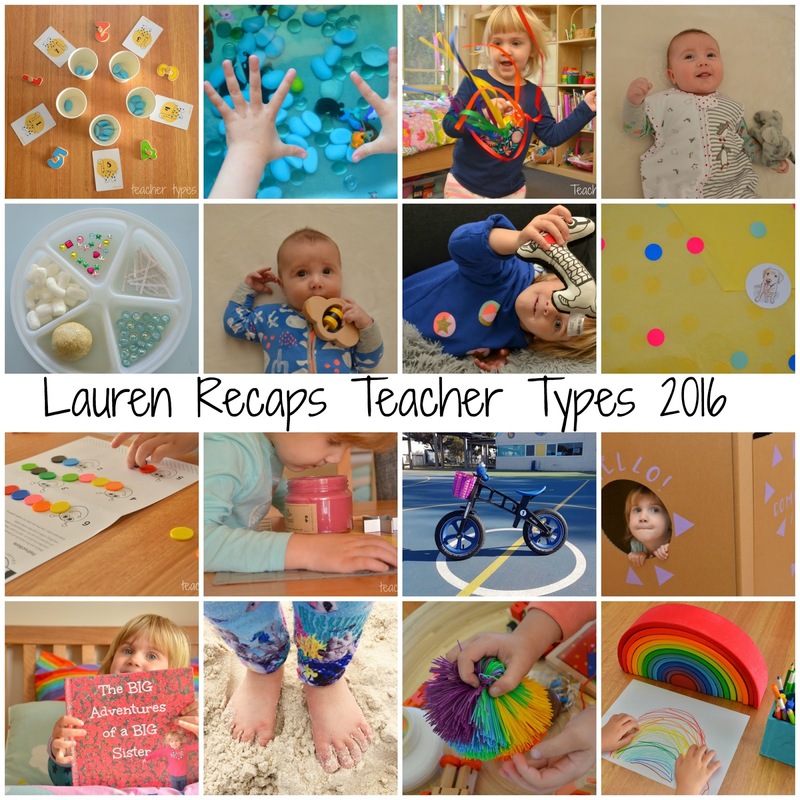 As the year draws to a close it's nice to look back on the highlights and best blog posts of 2016...and you might even come across a post that you missed! Or if you're a new follower you can catch up! 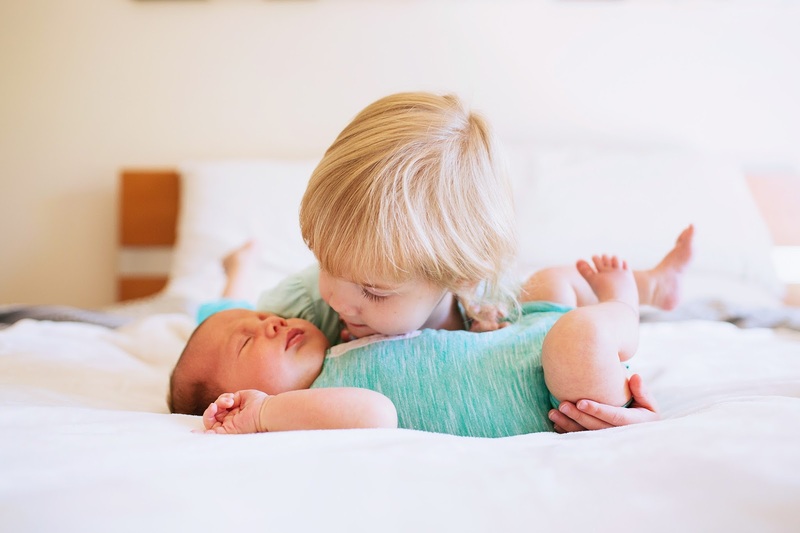 January was all about getting to know our Little Man and settling into life as a family of four. Surprisingly I had a bit more time for blogging than I thought. Having said that I also has some brilliant guest bloggers to keep things going. Many thanks to Ali from The Way He Plays who shared her awesome sensory table! I got honest and a little emotional writing this post - The moment you realise you're a mother of two. March was actually pretty busy! Miss M turned 3 and became a true threenager. 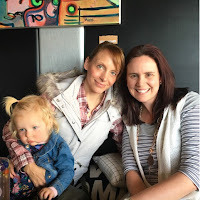 I interviewed the awesome Say Hello Jo (and then got to meet her in person in June!). And this was my favourite activity post. April was busy too! I interviewed Miss M, and James, and got real when I explained my reasons for sending Miss M to Child Care this year while I've been on Maternity leave - best decision we made this year to benefit every member of the family. This post by my friend a Speech Pathologist went nuts! A lot of parents found this one full of useful info. 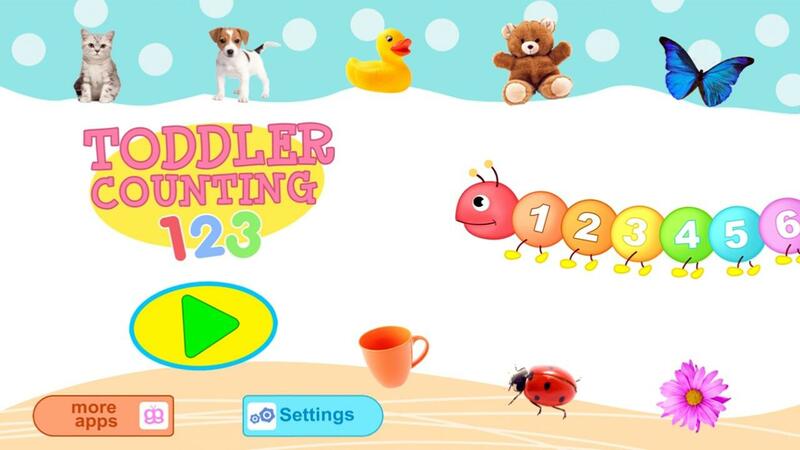 Another question that pops up all the time is "What are some great educational apps for my child?" 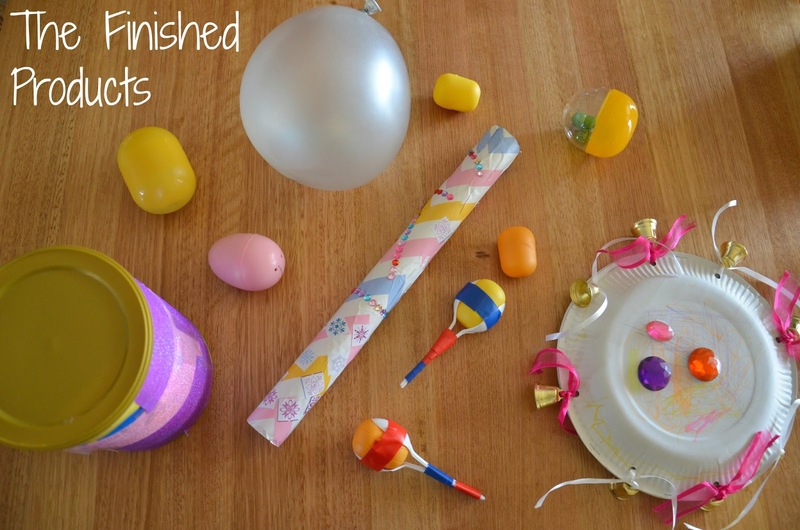 - look no further than this post! 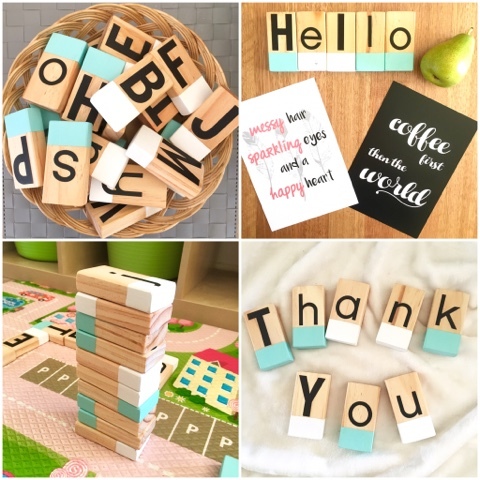 This year I was a brand rep for an awesome SA biz Hello Pear and came up with 20 ways to use their handmade alphablocks. (PS I'm so thrilled that I'll be continuing to work with and represent Hello Pear in 2017 with an exciting new product launch). 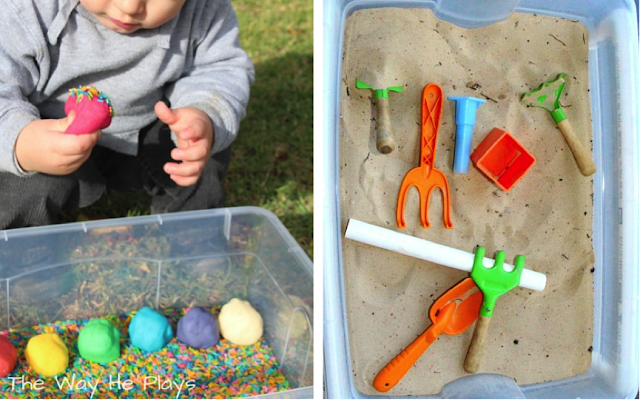 Little Man was then six months so I shared some baby play ideas too! 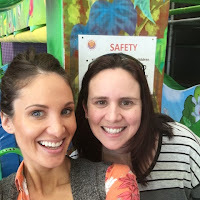 I was excited like a woo girl when I guest posted for one of my favourite bloggers Fat Mum Slim! Miss M and I had fun making musical instruments and had a great time at the Mister Maker show! (Also in July I discovered that you could get plastic Voss water bottles at Woolies and my Instragram community were so excited!). August saw my most popular post of all time! I called in some experts to explain the difference between Montessori, Reggio Emilia and Waldorf Education philosophies. Play dough has probably been Miss M's favourite activity of the year - and we love Happy Hands Happy Heart natural + scented play doughs. Miss M and I went on a girls weekend away in Melbourne during September so that's a highlight definitely worth mentioning! 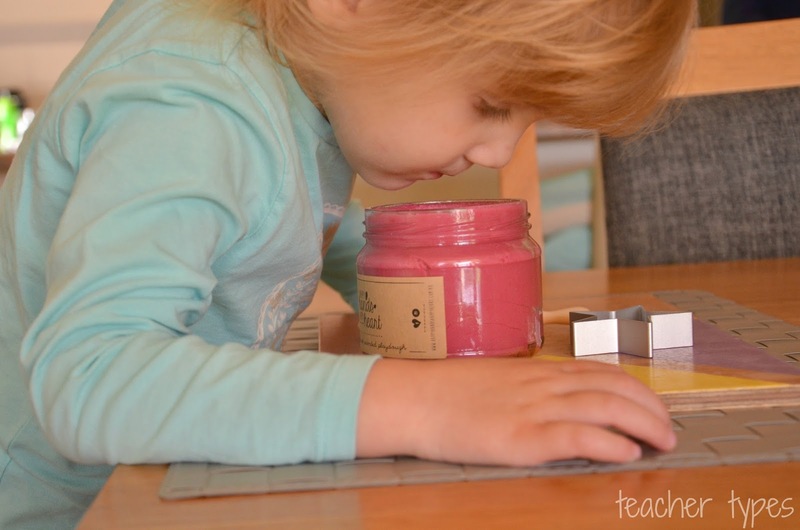 And one of my favourite product reviews of the year was this one from Keepsakes by Nicoleta. Lots of play happened in October! 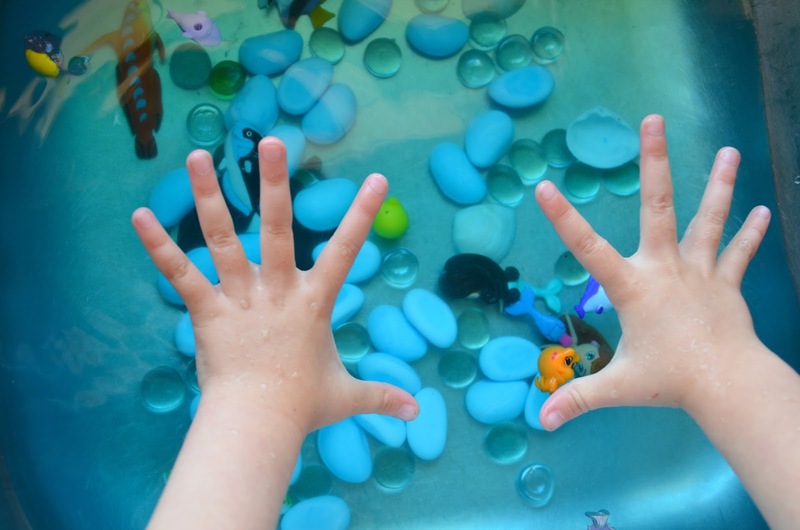 Little hands kept busy with fidget toys from The Happy Me Shop and we discovered Splashlings and had fun with water play! In November my favourite kids product ever arrived in the post - and I wrote about why I think every classroom should have one! 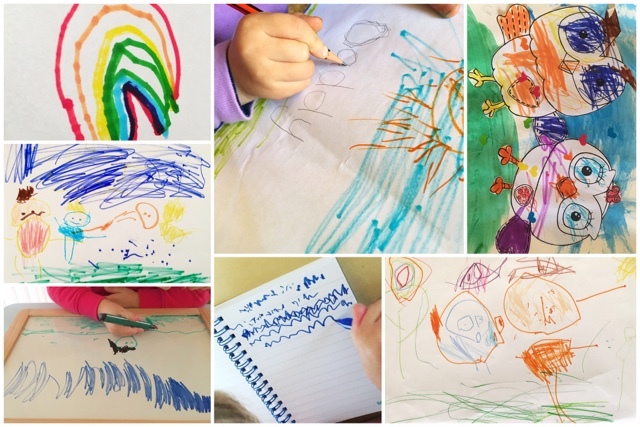 I also shared some of Miss M's works of art along with some advice of how to get your preschooler excited about writing, drawing and colouring. Well December has only just happened... December for us is all about outdoor play, water play, getting ready for Christmas and shortly after we'll be celebrating the Little Man's FIRST birthday. Finally a special thanks to all of the brands who I have worked with this year. The small business owners who have put their trust in me to represent their brand and share their products with my community. The kindness I have experienced has been amazing and I'm so pleased to have a platform in which to share such awesome brands and products. Well friends, that's it for me for 2016. I'm signing off, clocking off and will be working hard behind the scenes (hopefully) with a fresh new look for the new year and my bloggy birthday! I'll still be hanging out on Facebook and Instagram though. Thank you for reading, for following, for commenting, for liking, for sharing and for coming on the journey! What a wonderful! Looking forward to more next year! 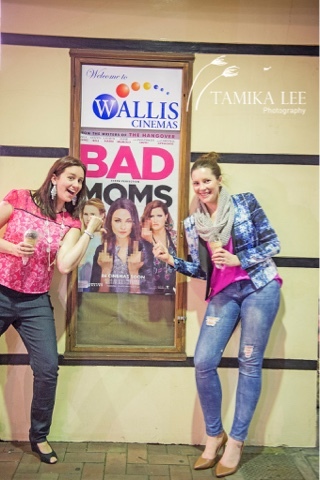 I loved the piece about becoming a mum to two :-) What a big year! Congratulations. 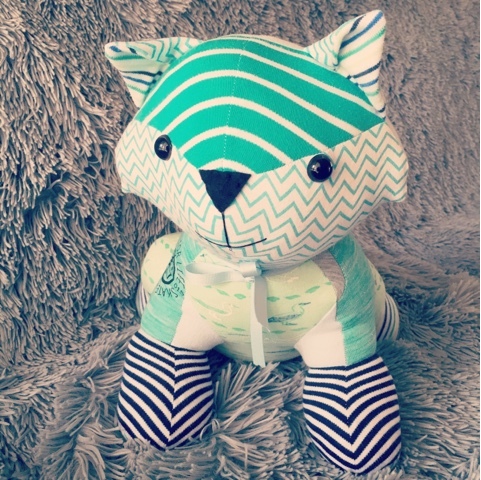 Oh my goodness that fox is the cutest! You've had such a great year!